BECIL Recruitment 2019: Broadcast Engineering Consultants India Ltd. / becil.dealnxt.com is conducting recruitment processes to fill 8 vacancies. As of now, there is one recruitment drive going on for Senior Consultant/ Consultant Posts. BECIL Recruitment 2019 - Job notification for Senior Consultant/ Consultant Posts in BECIL, New Delhi on Contract Basis. Applications are invited by Broadcast Engineering Consultants India Ltd. on or before 30 Apr 2019 for 8 vacancies. BECIL Recruitment 2019 - Job notification for 24 Data Scientist, Head & Other Posts in BECIL, New Delhi on Contract Basis. Applications are invited by Broadcast Engineering Consultants India Ltd. on or before 10 Jan 2019 for 24 vacancies. BECIL Recruitment 2019 - Job notification for 10 Monitor & Content Auditor Posts in New Delhi/ NCR on Contract Basis. Applications are invited by Broadcast Engineering Consultants India Ltd. on or before 15 Apr 2019 for 10 vacancies. BECIL Recruitment 2019 - Job notification for Patient Care Manager (PCM) Post in BECIL, Delhi on Contract Basis. Applications are invited by Broadcast Engineering Consultants India Ltd. on or before 03 Apr 2019 for 10 vacancies. BECIL Recruitment 2019 - Job notification for Assistant Dietician Post in BECIL, New Delhi, Haryana on Contract Basis. Applications are invited by Broadcast Engineering Consultants India Ltd. on or before 25 Feb 2019. BECIL Recruitment 2019 - Job notification for Assistant Engineer & Jr. Engineer Posts in BECIL, New Delhi. Applications are invited by Broadcast Engineering Consultants India Ltd. on or before 01 Apr 2019 for 5 vacancies. BECIL Recruitment 2019 - Job notification for Sr. Consultant Post in BECIL, New Delhi on Contract Basis. Applications are invited by Broadcast Engineering Consultants India Ltd. on or before 08 Mar 2019 for 1 vacancy. BECIL Recruitment 2019 - Job notification for Various Posts for DD News in BECIL, New Delhi on Contract Basis. Applications are invited by Broadcast Engineering Consultants India Ltd. on or before 25 Feb 2019 and Interview to be held on 28 Feb 2019 at 10:00 AM for 8 vacancies. BECIL Recruitment 2019 - Job notification for IT-Consultant Posts in BECIL, Noida, Uttar Pradesh on Contract Basis. Applications are invited by Broadcast Engineering Consultants India Ltd. on or before 08 Feb 2019 for 2 vacancies. 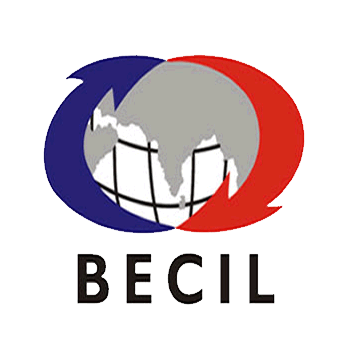 BECIL Recruitment 2019 - Job notification for 16 YP/ Media Coordinator & IT Consultant Posts in BECIL, Across India on Contract Basis. Applications are invited by Broadcast Engineering Consultants India Ltd. on or before 08 Feb 2019 for 16 vacancies.